Welcome to Carlyle Court! My name is Steve and I serve as the Residence Hall Director. I’m originally from Lawrence, Massachusetts which is about 45 minutes north of Boston. I received my BA in Sociology from Boston College in 2010 and decided to continue on there, receiving my MA in Higher Education Administration/Student Affairs. After spending the majority of my life in the Boston area, I wanted a change in pace and scenery. New York City has much to offer – vibrant culture, high energy, and a unique environment – everything I hope to incorporate into the student experience at NYU. My favorite things to do are eat, explore/travel, read, and spend quality time with good company. We have an amazing staff here at Carlyle Court – please get to know them and take advantage of everything that we have to offer! Hello - my name is Eli and I serve as the Residence Hall Assistant Director in Carlyle Court. I am originally from the Dominican Republic and grew up in New Jersey and Central Florida. I completed my undergraduate degree at Rutgers University and will be graduating from Steinhardt in the Higher Education and Student Affairs Master’s Program this May. I have been a member of the NYU community serving as RHRM for almost 3.5 years. I enjoy photography and film, traveling, books, food, and pop culture. Otherwise, I look forward to working with you and hope that you make the best out of your time here in Carlyle Court! I’m Priscilla Williams, the resource center manager here at Carlyle Court. Born and bred in Brooklyn, New York, I have been here at BOTH Carlyle Court and N.Y.U for over 15 years. I’ve seen this area, as well this building evolve. Before coming here my background has been diverse: asistant supervisor in the customer service division at Time Warner Cable, medical malpractice submission processor at Aetna insurance, handled end of trading day stock transactions at Goldman Sachs, worked in the data processing department of E.P.Dutton, a publishing company. As you see, I have a lot of work and life experience to draw from and share. When I do have some ME time, I relax by knitting, reading, bike riding, horseback riding, indoor rock climbing, travelling. I am a very active volunteer with several organizations (New York Road Runners, The Mayor’s Alliance for Animals, New York Cares, The Achilles Club). I am a passionate New Yorker and love the energy of the city! I’m known for my knowledge of N.Y.U and N.Y.C, quick wit, and out-going nature. If you need assistance or just want to stop by and say “Hello”, I look forward to meeting you! Carlyle is fortunate enough to have two exceptional NYU Faculty living and working in the community. Faculty Fellows in Residence or FFIRs work to develop living, learning communities in the NYU Residence Halls. Professors Lorena Llosa & Greg Erickson help the Carlyle community thrive by hosting amazing programs and events for the residents. Lorena Llosa is an Associate Professor in the Department of Teaching and Learning at the Steinhardt School of Culture, Education, and Human Development. She has a BA in English, Spanish, and French from Santa Clara University, an MA in Teaching English as a Second Language from UCLA, and a Ph.D. in Applied Linguistics from UCLA. Her interests are in the areas of second and foreign language learning, teaching, and assessment. At Steinhardt, she prepares future bilingual, English as a Second Language, and foreign language teachers as well as doctoral students interested in issues of language education and assessment. Originally from Argentina, Lorena has been at NYU and enjoying living in New York for twelve years. Prior to coming to New York, she lived in Los Angeles, California. Ask her which city she prefers. Lucia is an ten-year-old, five-pound Maltipoo (Maltese/Poodle mix) who loves playing fetch with her tiny tennis ball and is an expert at coercing people into giving her lots of attention. Her favorite spots are Washington Square Park and the Carlyle Courtyard. Keep an eye out for her fast wagging tail. Lorena and Lucia look forward to sharing with Carlyle residents fun and exciting programs that explore issues of language, culture, and diversity through music, dance, performances, tours, conversations, and lots of food! Gregory Erickson grew up in Minnesota, moved to New York City after college to be a classical musician, and got distracted by books and literature somewhere along the way. He is an Associate Professor at the Gallatin School where he teaches courses on music, modern literature, popular culture, and religion. His PhD is in English Literature, although he is still active as a professional trombone player. His research focuses on the intersections of literature, culture, and religion, and he is currently writing a book on heresy and modernist literature and another book on television and religion. His many hobbies include biking, basketball, travel, food, listening to music, and watching television. Angelina Tallaj is a classical pianist and a Professor of Ethnomusicology at Guttman Community College. Her research interests center on Dominican music and identity. She was born and raised in the Dominican Republic and is interested in world music, food, travel, pets, and people watching. Our cat, Ñoñita, likes to play with balls and string, take naps, and look out the window. Greg, Angelina, and Ñoñita look forward to sharing our interests, passions, and hobbies with Carlyle residents. Katie is a junior in the College of Arts and Sciences studying Economics with a minor in Business Studies. She is from Lyndhurst, New Jersey and grew up spending a lot of time in the city. As Carlyle's RCA, she is eager to serve as a resource to residents and meet new people at the RC. When not at the desk, Katie enjoys cooking, juggling, and catching shows on Broadway. Feel free to stop by the RC and say hi anytime. Welcome to Carlyle! Lauren is a junior in Steinhardt studying Global Public Health and Media, Culture, and Communication. She is from Demarest, New Jersey and is excited to be the RA for the Serve the City community this year! On campus, Lauren is involved with Asian Heritage Month at NYU and Arts in the Community. In her free time, you can find her exploring the city, baking all kinds of desserts, or relaxing with a good book. She is looking forward to meeting Carlyle’s residents--don’t hesitate to stop by and say hello! Arlene is a senior in the College of Arts and Science, studying English and Psychology. Hailing all the way from the distant land of Brooklyn, New York, she has an avid interest in non-fiction novels, writing and the intricate relationship between cognition and behavior. If she isn't watching re-runs of Parks and Recreation, you can find Arlene scouring the city for new foods to try or people-watching in Washington Square Park. She looks forward to getting to know you all this year! Kristian was very eager to get out into the world right from the start—as a result, he was born 2 months prematurely. That same eagerness is what motivated him to venture from his home in the San Fernando Valley of Los Angeles all the way to New York City to become a student. He is a senior in Steinhardt majoring in Music Technology with a minor in Studio Art. Kristian is a left-handed Libra who has really started to appreciate all that life has to offer. He recently discovered his love for bananas. After 10 years since the release of The Fame, Kristian has finally become a devout Lady Gaga fan. Kristian is excited to see where life takes him, and he is most excited to get to know the Carlyle community! Kasane is a junior at Steinhardt. She is pursuing a Bachelor of Science in Applied Psychology with minors in Sociology and Italian Studies. Her passion for mental health awareness, love of art, and personal experiences have influenced her aspiration to be an art therapist. She is currently on a research team and is constantly trying to find more resources that will familiarize herself and others with mental health. Kasane is excited to be an RA at Carlyle and looks forward to discussing movies, podcasts, music, and dogs with her residents. Whether you see her in Carlyle or out and about on the streets, don't hesitate to say hello! 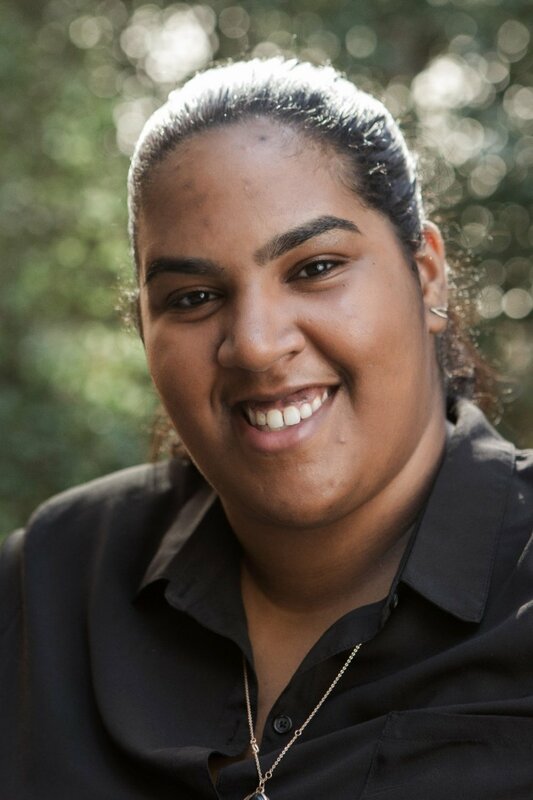 Ta'riq is a senior in the Tisch School of the Arts, majoring in Dramatic Writing with a minor in Creative Writing. When he isn't at the Resource Center, you can usually find him writing (of course), reading, playing video games, or contemplating the future. Feel free to say hello and give your best book or TV show recommendations! Emilio is a Junior studying mathematics in CAS. He spent his first year away in NYU DC, and then studied away in Shanghai during Spring 2018. Apart from mathematics Emilio is highly interested in philosophy, contemporary art, and football (soccer). Emilio grew up in Mexico, thus, Spanish as is his first language. However, he also speaks english, and french. You will often see him outside of the courant building drinking coffee, or biking to class. Finally, Emilio tries to be vegetarian at the best of his abilities yet sometimes finds himself eating a five guys double cheese burger. Kendall is an incoming senior majoring in Media, Culture and Communication with a minor in The Business of Entertainment, Media, and Technology (BEMT). She is from Philadelphia (unfortunately it’s NOT always sunny), and as a result, is a fan of Wawa hoagies and often-defeated sports teams. In her free time, you can find her watching The Bachelor, taking a Buzzfeed quiz, or eating her body weight in Pad Thai. She can’t wait to see you around the (Carlyle) court this year! Alex is a junior in CAS studying biology. He grew up in a small town outside of Boston. His favorite things to do in New York include running on the Hudson, people watching, and eating Joe's pizza. He likes talking about music and lots of other things - feel free to say "hi"! Sophia is a senior at the Rory Meyers College of Nursing from Lynbrook, New York in Long Island. As a student nurse, she loves to meet new people, is constantly on her feet, and is an (extremely) early riser. She plans on working in the operating room in the future. In her free time, Sophia can be found baking delicious desserts, reading a great book, or searching for her next best find at a local thrift store. Don’t hesitate to stop by with book recommendations or if you’re just drawn to her room by the smell of cookies in the oven. She is looking forward to a great year and to getting to know all of the residents at Carlyle! Hermione has lived in Carlyle long enough to know that there is no place like it. She considers her residents to be her pride & joy and truly enjoys spending time with them. When she is not busy, Hermione loves listening to music, reading poetry, or binge watching Parks and Rec on Netflix. If you ever see her out and about in the city, feel free to say "hi!" Lorean is a junior at Gallatin, concentrating in what she's calling "self-care" that combines pre-med, global public health and psychology. She's from Sydney, Australia and spends her free time wandering around New York, except when it snows and she is most definitely found inside. She loves trying different cuisines, visiting museums, watching movies and is always ready for coffee. She is looking forward to getting to know you all! Sanjna is a senior at Stern, studying Data Science and Global Business. She is from Fairfax, VA. In her free time you can find her trying out new types of food and exploring the city. During her last year at NYU, Sanjna hopes to plan and organize cool events that take advantage of the city to the fullest. Feel free to say hi and chat about absolutely anything, as she looks forward to meeting you all! Clay is a senior in Gallatin from Denver, Colorado concentrating on both poetry and visual culture. He's currently working on a manuscript for a poetry chapter book. Outside of classes, he loves to check out different art spaces and museums throughout the city. Clay's looking forward to the next year on Union Square with the Carlyle community! Jordan is a junior in Steinhardt studying Media, Culture, and Communication. Born and raised in Washington D.C., she loves to spend her free time in art galleries and museums. Jordan is also a self-proclaimed foodie and enjoys trying new cuisines and eating at hip new restaurants. Feel free to ask her for food recommendations or for things to do in the city. She is looking forward to meeting all of the residents! Daniel is a Senior in the College of Arts and Sciences studying metropolitan studies and politics. Originally from the West Coast, he'll be the first to tell you that New York has nothing on California. He is excited to continue is three year-long quest for the best Mexican food in New York. This is his second year as an RA and loves getting to know people at the RC and around Carlyle. Outside of class, he works with students at the NYU Prison Education Program. If he's not reading, at a coffeeshop, or running around the city, he's probably napping. Hit him up for podcast and book recommendations - Welcome to Carlyle!